Sam Champion is a weather anchor who is best known for his combined 25-year career on the ABC flagship station WABC-TV and Good Morning America. 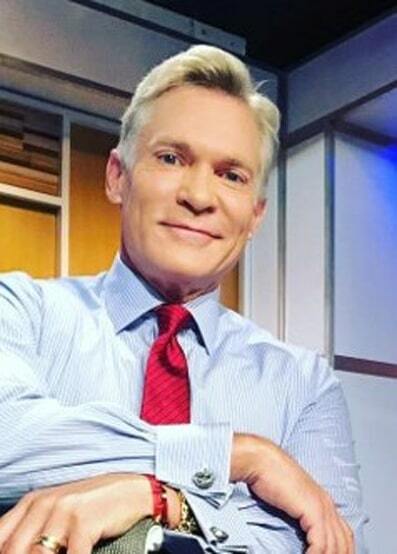 He formerly co-anchored AMHQ: America’s Morning Headquarters and 23.5 Degrees with Sam Champion on The Weather Channel. Show Topics: Superheroes, Arts Education, Weather tells a Story, Bunnies are Evil, The Importance of Kindness, Rubem Robierb, Hoda Kotb, Rob Marciano, Diane Sawyer, Robin Roberts, Chris Cuomo, Michael Strahan, Phil Beuth, Emily Post.